Here are some photos of the SansBug tents on cots in a boy scout wall tent. 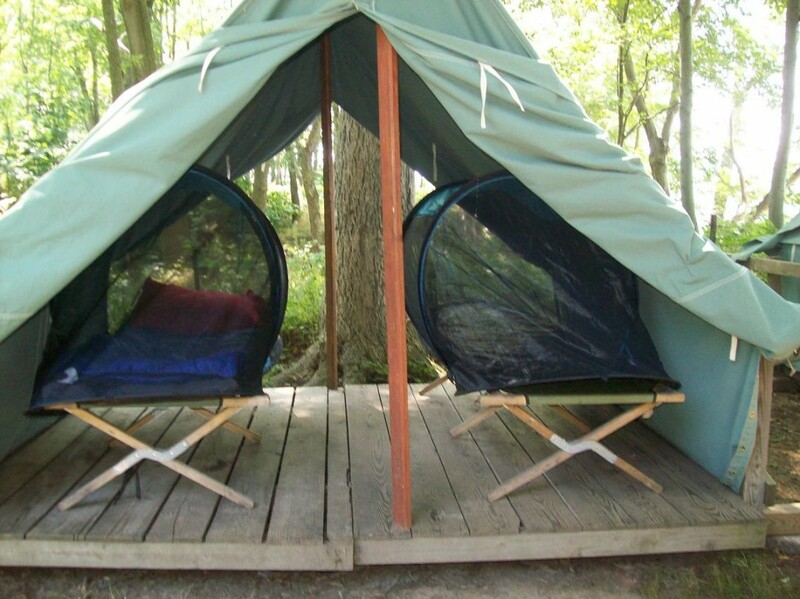 My son and two other boys used SansBug (1-person) tents on this trip to Camp Rodney in Maryland last week. Camp Rodney is located on the Chesapeake, the ‘permanent’, canvas scout tents are filled with spiders. The SansBug fit very well inside the wall tents and did an excellent job keeping the boys bug-free! All three boys were thankful to have the SansBug, they all agreed it made their stay at camp much more enjoyable without the worry of having any critters bothering them in the middle of the night. We will certainly recommend the SansBug to everyone, it is an excellent product!